Health officials are warning that visitors and employees at the University of Kentucky’s Chandler Hospital may have been exposed to hepatits A.
UK reports a food service worker in the Pavilion A cafeteria has tested positive for the illness. The worker prepared food but was not involved in food preparation for inpatients. Anyone who may have dined at the facility between October 11-30 is being encouraged to get vaccinated. "We don't really have any documented cases being transmitted from food service workers in this current outbreak in the state of Kentucky, so that's important to note," Jessica Cobb with the Fayette County Health Department tells reporters. "But also important to note is that there is a risk involved." Officials say the risk is low but currently all Fayette County residents are being advised to get the vaccination. Thorough handwashing is also recommended. As for the facility in question, Derek Forster, the medical director for infection prevention and control at UK, said, "We did have the health department in for an... overall inspection and the cafeteria did very well. It was a score of 99, so obviously there's proceses in place to help limit that, but it is a concern." Health officials say hepatitis A cases continue to climb in Fayette County, jumping from 15 in October to 16 in just the first eight days of November. Lexington saw 13 new cases of hepatitis A in October, boosting the total number for the community to 35. Close to 75 percent of those cases have required hospitalization, putting the city ahead of statewide averages. Lexington's top health officials are recommending that all Fayette County residents be vaccinated for hepatitis A. The advice comes as the city's confirmed cases climb to 12 – with four showing up in the last two weeks. The hepatitis A outbreak in Louisville and other parts of Kentucky is now the worst in the country. The Kentucky Department of Public Health is handing out 10,000 hepatitis A vaccinations to the 10 counties hardest hit by the multi-state outbreak. 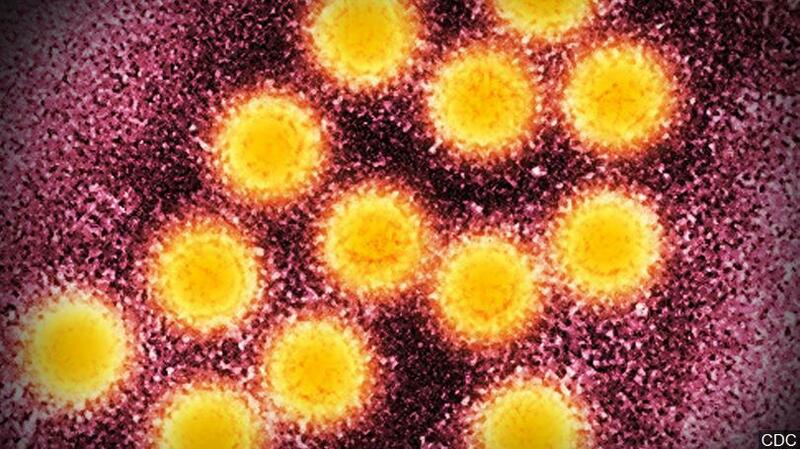 Health officials say a sixth food worker in a northern Kentucky county has been diagnosed with hepatitis A.